Johann Berg Gudmundsson is a prime example of Burnley’s growth in the Premier League, according to boss Sean Dyche. The Iceland international wideman was signed for a bargain initial £2,5m from Charlton Athletic in the summer of 2016. And he made a good impression in his debut season in the top flight, scoring once in 24 appearances in all competitions, in a campaign punctuated by a hamstring and then a knee injury. He scored his first goal of the season in the New Year’s Day defeat at home to Liverpool, but has five assists so far this term, leaving him 11th in the Premier League statistics. Gudmundsson had an entertaining battle with Reds left back Joe Gomez throughout Monday’s game, and Dyche said of the 27-year-old: “Johann was very good. “He stuck at it - he had a bit of a tight calf, I asked him to go and be a big player for us at half-time, and he did again. “He’s maturing into a very good player, his game is improving all round. “There’s a lot of good signs. “We’re on 34 points, and remember we were second favourites to go down. “But we’re delivering a very strong season, coming out of some really tough fixtures with a stretched squad, and still delivering performances. “I was disappointed at not getting a point (against Liverpool), but I’ve got to look at the bigger picture and see the good work getting done by these players and how they are moving forward and continuing to progress. “That’s what we have to do here. Dyche’s squad has been stretched of late, with Robbie Brady out for the season, Tom Heaton out since September, and Chris Wood and Stephen Ward have missed the Festive period. James Tarkowski returned from a three-match suspension to face Liverpool, having had an operation on a damaged hand in between, and Dyche updated the situation ahead of tomorrow’s FA Cup third round tie at Manchester City: “Woody might have a chance, it was too quick (on New Year’s Day). 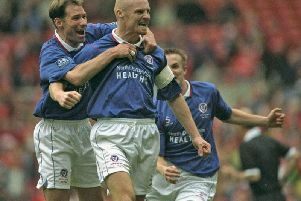 “I had to make a call on Tarky as he only had an operation 11 days ago and Kevin Long had done so well, but it was a good call, Tarky did well (against Liverpool). Dyche tends to freshen his side up in the cups, but his options will be limited at Pep Guardiola’s runaway Premier League leaders: “The squad is right at the end of its capacity if you like, with the players we’ve got, but I’ll try and put out a side I think will be right to try and win the game.